The U.S. has been riddled lately with back-to-back hurricanes in Harvey and Irma. Much of the flood waters may have receded, but the country will definitely be feeling the effects of the historic storms for years to come, especially when it comes to the economy. Hurricane Harvey smashed into the Texas coast on August 25 and came back on land three times, causing $180 billion in damage. That hefty price tag makes it the most expensive natural disaster in U.S. history besides Hurricane Katrina in 2005. When combined with the cost of Hurricane Irma, which is estimated to be around $100 billion, the two storms could total more than half the cost of the total hurricane damage from the last 50 years. Aside from just the financial spread, Harvey affected a historic amount of people. An estimated 13 million people in Texas, Louisiana, Mississippi, Tennessee, and Kentucky were affected to some degree. 70 deaths so far have been connected to the hurricane. In Florida, more than 6 million people evacuated. After the storm hit, nearly half the state lost power, with outages in some areas expected to last for weeks. Harvey and Irma came at a time where many other areas of the world are volatile. Partnered with fears over the rising nuclear tensions with North Korea, the hurricanes have led to dramatic increases in safe haven assets. The price of gold is currently higher than it has been in more than a year. One of the biggest fears surrounding Harvey was the impact it would have on gas availability and prices since Texas is home to many major refineries. However, oil prices have held steady at around $53 per barrel with many refiners working below capacity after the storms. All natural disasters impact the stock market, and the recent storms are no exception. Irma’s impact is less certain because it is more recent. However, if history is any indication, hurricanes have a limited drag on stocks as a whole, with a median decline in the overall market of 2% over the seven days before and after a major hurricane. The real damage from storms comes for individual stocks and industry groups. Because Harvey and Irma were both so big and hit so close together, there is a great chance the long-term drag on individual stocks could last longer. 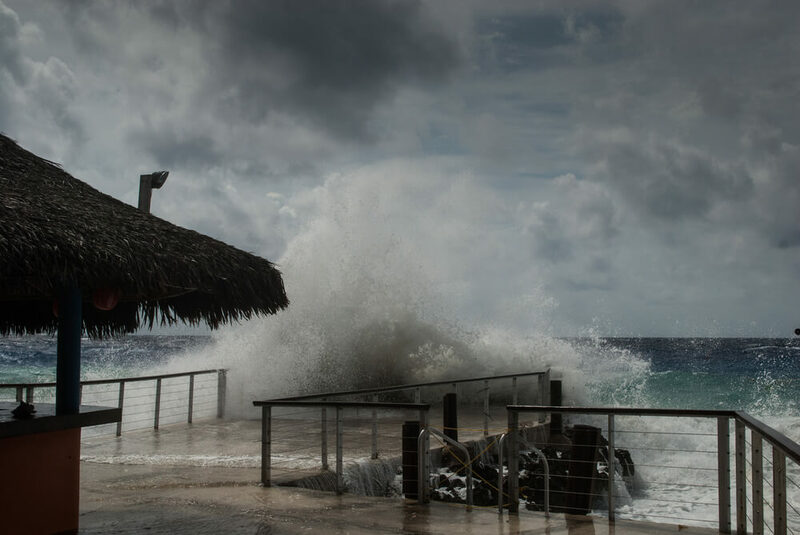 The Dow Jones and S&P 500 share indices dropped significantly as Irma prepared to make landfall on Florida, but will likely improve slightly after the storm has passed. Hurricane-sensitive industries include insurance, hotels, restaurants, airlines, telecommunication, and industrials. This was already seen as insurance stocks took a big hit as they recovered from Harvey and prepared for Irma in the weeks between the storms. Hurricanes can actually be good for some industries, especially those that will repair the damaged areas, including transportation, logistics, and construction. Just because the storms are over doesn’t mean that markets are out of the woods. With a long recovery period for multiple states and growing tensions around the world, the U.S. markets could face a roller coaster of changes for the foreseeable future.